Nasa explains this breath-taking phenomena better than I do. Please click on the link to find out all to know about the early morning total eclipse of the moon. I awake at four a.m. and gaze out through the unveiled window. It is the moon that captures my weary attention. It hangs suspended, a brilliant white light, full and heavy, in an inky black sky. A wispy cloud passes by, as if a wayward remnant from a beribboned banner cut. A silken piece left after the announcement that the greatest show of the universe is unfolding. In the Bible, it is written that God uses the moon and the stars to send signals to earth. The moon held power over the people. It brought about their fears and swayed imaginations. Superstitions surround the topic of the moon. Beware~ those who sleep under a full moon run the risk of insanity or blindness. Worse yet, the magic conjures to turn one into a werewolf; fear not, you are safe from harm. This occurs only if the lunar event falls on a Friday. 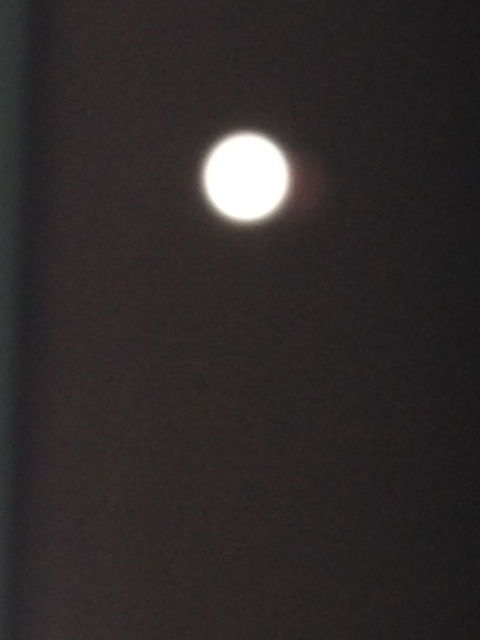 I have slept under the blood-red moon, awakening too late to view the total lunar eclipse or tetrad. I catch the last stages of this spectacular lunar event. For a few minutes I am able to glimpse the shadow of red, surrounding the edges of la luna. Our collective hearts beating back to one another. During a blood-red moon, one is viewing every sunset and every sunrise around the earth at the same time. 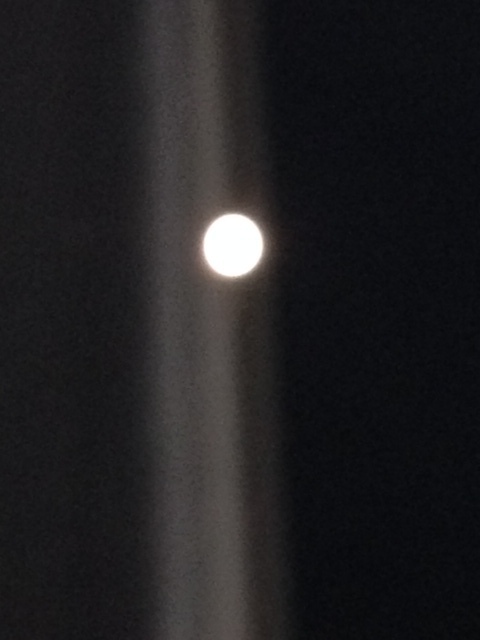 It appears as if earth’s reflected back by the brilliant moon light. We, the human population, are given a brief opportunity to view each other’s worlds, however fleeting the moment. It is impossible not to be awed by this spectacular celestial event. If you missed this lunar event, mark your calendars for October 8, 2015 when once again the earth will experience a total lunar eclipse. I missed the eclipse Lynne but your words make me feel I was there. Beautiful. I almost missed the celestial performance, as well. The part of the lunar eclipse that I witnessed was breath taking. Thank you for visiting, Andrea.